A Piece Of The Action: "A Collector's Trek #7" Is Now Up At StarTrek.com! 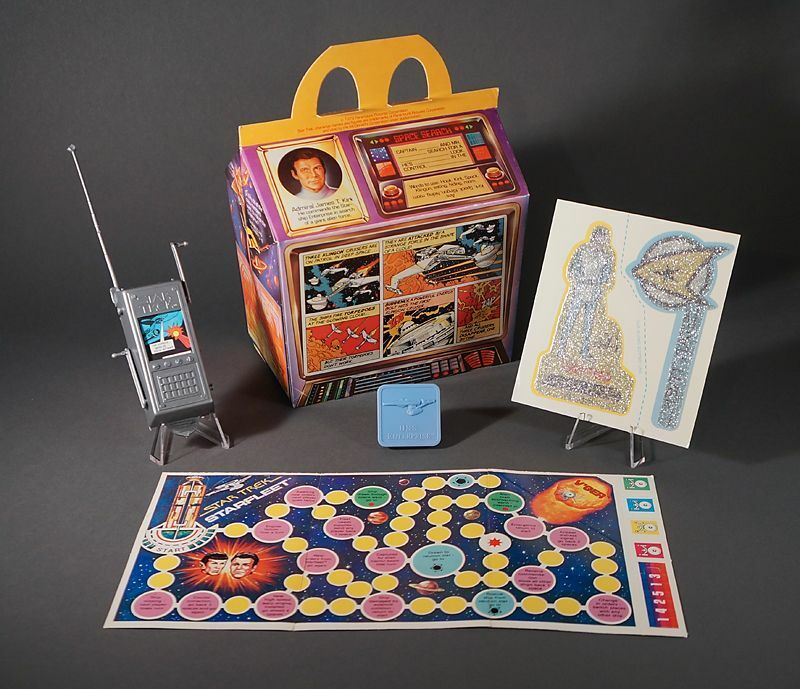 I still have the boxes ( no prizes though ), and a tray liner advertising the Trek Happy Meals that's in really good condition. I think I also still have a colorful Trek themed poster, not meant to be viewed by the public, instructing McDonald's employees on how to assemble and prepare the Happy Meals. I didn't ever work at McDonald's, but I did have friends who would keep their eyes open for goodies like the poster, and give them to me.